As a video game fanatic (I grew up with the original Atari 2600 before it was even referred to as a "2600", just to date things), I have always yearned for the great baseball game. And as interesting and sophisticated as consoles have become, I have still never gravitated towards or been convinced by the replication of baseball on video game systems. Perhaps it is the lack of a continuous pace, the starts and stops, the restful pauses and the build-up of tension, that prevents baseball from being properly translated. A fluidity of action in something like soccer lends itself to virtual gaming for me (the recent version of FIFA '10 is a truly brilliant sports simulation), far more than something like baseball, or even American football (despite the popularity of the Madden franchise). The most memorable hardball video simulation I ever played was RBI Baseball, quite famously amongst my friends, in fact. And that wasn't because it was graphically compelling or anything like real baseball. Rather, during college I was able to replicate and actually exceed Orel Hershiser's record-setting scoreless inning streak; I am willing to be that several college classmates remember the moment I broke the record in our dorm's common room, even more vividly than they remember what they learned in Art History 301, sadly. But this game has piqued my curiosity, as a gamer, a baseball fan, and also as an architect. The ability to play games in fields of yore, on diamonds long since demolished, is a deft touch and a nostalgic feature that has me wondering if I should purchase this game and explore the worlds it reproduces. If the game marries classic lineups with classic fields and supplements those with solid gameplay, I may finally (after two decades of continued searching and high hopes) have found a baseball game that I can accept as a reasonable facsimile of the real thing, one which imbues what is really just a bunch of code with romance and nostalgia, characteristics hardly synonymous with video games. The answer is clearly YES! The Show is the best baseball game out there, even before these changes. I only play sports games, Madden, NCAA Football and The Show. I enjoy The Show the most out of those 3. Just a great game. It’s my opinion that if you do in fact like or love baseball, make the purchase. Nothing will beat RBI Baseball. This is blasphemy. Also, Tecmo Superbowl is the all-time best sports game. Double Dribble has the best announcing of any game ever. The first time I beat Mike Tyson in Mike Tyson’s Punch Out, I cried for joy. I think every year, I talk about this game (especially on this blog) like they pay me to spam you guys. I play almost every baseball game every year growing up, and still does, and The Show is by far the best, mixing enough realism and just fun! Hey Lar, did you hear if you throw a PG in MLB 2K10 you get $1 Million dollars? Apparently you have to video tape it if you are able to pull off that feat. I might buy it just for the chance! 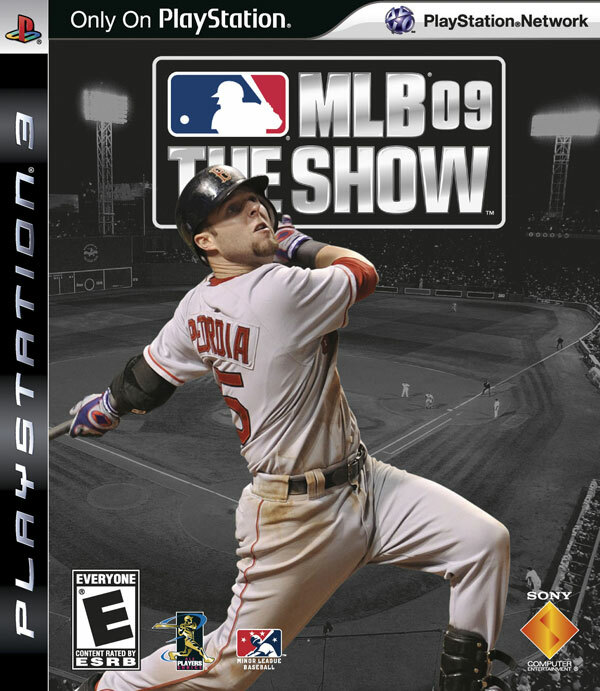 I wanted to try mlb the show 2k9 but the cover was so horribly broken I couldn’t open the box. The show is amazing. 2K9 and 10 have taken over for MVP (that EA sports did and lost the contract). Since that time the 2k series stinks but The Show is amazing. The last EA baseball was NCAA Baseball which was SICK! EA made a nice baseball game, what a shame. Either way, The Show has been almost as good since then. 2K10 is clearly the lesser of the 2, but for a million dollars, I will give it a shot. I can’t deal with baserunning. I still have nightmares about starting all three runners with nobody out and the bases jacked. It happens at least every time I play a baseball video game, regardless of how sophisticated. In thinking about this a little more, the lack of realism with baserunning is one of the biggest reason I have not yet felt great about baseball games. Wondering if this has ever really been solved well in anyone’s opinion. SF, you can auto-base run or set it to computer assist or you can control the whole thing if you’d like. I agree that the controlling of the base runners is a little tough. For example, it was very tough to steal in last year’s version, even with say Carl Crawford. It’s the one area that I too struggle with/don’t really enjoy. The most enjoyable for me is pitching. Hitting is fun, but K’ing hitters is great. I love The Show. My favorite part is creating a pitcher from scratch, and working up through the minor leagues. Sometimes things get a bit screwy, though. I always start out on the Red Sox, my most successful character was a closer I made. I was then traded to the Yankees with Youkilis for Mariano Rivera. The demo for 2K10 is out for xbox 360 – they made some improvements, but The Show will probably still be the game to beat. I think the story was that EA got an exclusive contract with the NFL (with Madden) and Take 2 responded by getting an exclusive 3rd party contract with MLB – so first party systems can make their own game (Sony for PS3, MS for Xbox, Nintendo for the Wii). Unfortunately for them, and fortunately for us, The Show is there. Oh ya, I hear about the million dollar. From what I hear the demo is relatively easy on the difficulty you’re supposed to do it at, so some people are projecting that it’ll be broken on release day, given everything stays the same anyhow..
SF – when/if you play “Road to the Show”, which is the RPG mode, essentially, you only control your character, which means you only control baserunning for your guy. It’s fun. Intellivision baseball was the bomb. baseball stars for nes was right up there with rbi for me. there was nothing more gratifying than climbing the wall to rob an hr. at least by 1989’s standards. Next post: Could Mitre or Gaudin Be Released?